Growing up, I was active in sports and other activities. Every time I had an injury or pain, something inside me knew that taking medication was only covering up the problem. There were always peculiar side effects from the medication, too. I even had a negative reaction to some vaccines. It was clear that my body just didn’t accept the outside-in approach. While playing sports in high school, I experienced some low back pain. I knew there had to be a way to feel better and reach your optimal potential so I started researching different avenues. My mom suggested I see a chiropractor. I didn’t even know what chiropractic was at that time! It was a unique experience, and I walked out of the chiropractor’s office feeling great. At that time, I still thought a chiropractor was someone you saw for just neck or back pain. It wasn’t until I entered chiropractic college that I realised chiropractors addressed full body health and wellness. Before starting chiropractic college, I first attended the University of Wisconsin–Eau Claire and majored in kinesiology with an emphasis in exercise science. While there, I also earned my personal training certificate. I worked a lot with the elderly community and felt it was really rewarding helping them live more actively with beneficial exercises. I knew then that I wanted to help people advance their health potential. I started doing internships at hospitals, considering a career as a physician’s assistant or medical doctor. Not long after, though, the medical approach started to confuse me. I worked with patients who were taking 10 or even 20 different medications at their doctor’s instructions. Yet people were still getting sick and dying, even at young ages! I made a trip home and went to see my old chiropractor who asked me, ‘’Why don’t you become a chiropractor?” I hadn’t really thought about it before, but I knew my personal beliefs lined up with the chiropractic philosophy of healing starting from the inside. I did some research and visited schools and chiropractors’ offices. I realised that everyone there was happy! The chiropractic lifestyle seemed like the obvious choice for me. 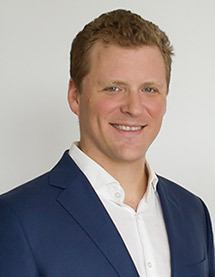 Dr Travis attended Palmer College of Chiropractic and was excited by the world of possibilities that opened up to him when it came time to complete his residency. He first decided to move to Portland, OR. While practicing there, he travelled to nearby areas to explore the possibility of practicing elsewhere once his residency was completed. A group of chiropractors he met in Vancouver told him about the demand for quality doctors in Asia. After graduation, Dr Travis considered opportunities in France, Spain, Hong Kong, Australia and all over the U.S. His zest for adventure took over, and Dr Travis decided to take the chance to get out and see the world. He chose to first practice in Jakarta, Indonesia because of the amazing culture, friendly people and laid-back lifestyle. The practice grew quickly, and Dr Travis enjoyed his years in Jakarta. He decided it was time to take the next step in his life and open up more high-quality health care centres in Asia, deciding on Singapore as his next destination. Dr Travis and his wife Sara, who has a background in chiropractic, love to travel all over the world and experience new cultures. With Singapore as their home base, they’re able to interact with people hailing from different parts of the globe and fellow expatriates who give them new perspectives. You’ll never be the same once you travel outside your home country. It gives you a different outlook on life! Dr Travis likes to golf and go to the gym, including doing yoga a couple of times per week. He is a Certified Chiropractic Wellness Practitioner and a member of the International Chiropractors Association. Are you interested in finding out more about the chiropractic philosophy? Contact our office today at 9810 9909 to find out about your natural healing abilities.